PRESS PLAY above to watch the Scott Gowans update. Scott Gowans looks back on the season that was and looks ahead to 2020. The club’s AFLW stars will continue to build on their strong progress in 2019 during the VFLW season, coach Scott Gowans says. 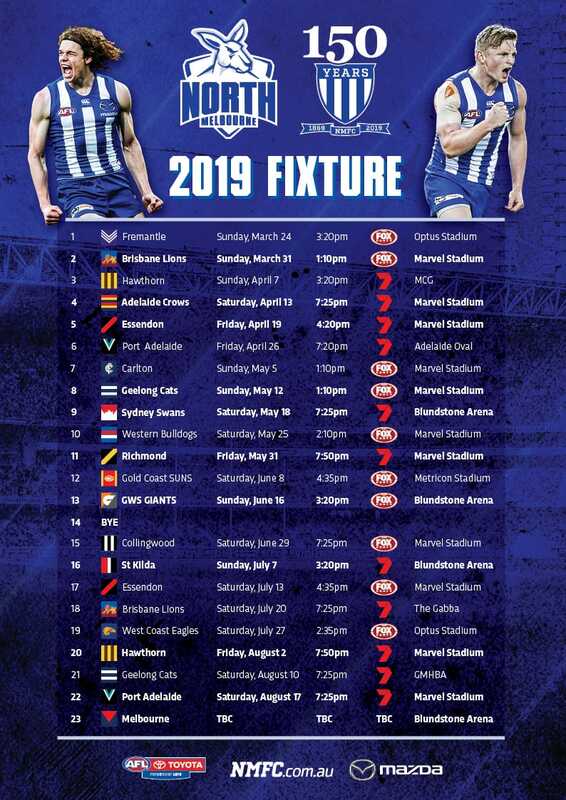 Gowans will lead the Melbourne Uni team in the state competition, with the majority of the North Melbourne Tasmanian Kangaroos’ players in action. “It’s about building on what we’ve started,” he told North Media. “We can teach the next aspects of the gameplay and fine-tune that. Melbourne Uni will begin its preparations for the VFLW campaign in the coming weeks, training at Arden Street, with the season proper beginning against Darebin on May 12. Gowans is confident the ability to keep the players together throughout the year will hold North in good stead, particularly given the limited time they had together before their first campaign. “The good thing now and the big difference from year one is that we’ll have a winter,” he explained. “We had good players and players we believe in, but 50 percent of the list hadn’t played AFL before. “Losing to Adelaide and ‘Freo’, who are clearly the two best sides. I think it just tells you that the difference is mainly in the way I felt they gelled as a team off-field. Despite the Roos finishing third in Conference A with 20 points, Gowans isn’t deterred by the disappointing end to the season, using this time as an opportunity to reflect. “At the end of the day, games like that are won by the intensity of the contest, sometimes you just need experience to do that,” he said. “I think there will be a time in the next few weeks to reflect on what we’ve done with building the team, and putting together a side from scratch.